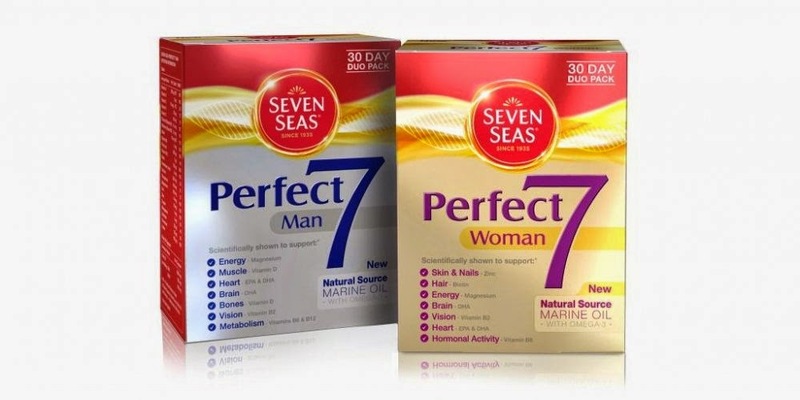 Seven Seas have recently launched their NEW Perfect 7 For Women, daily vitamin and mineral tablets designed to help you fight the signs of ageing from the inside. Now I know I'm only 33 but I've been trying to prevent the signs of ageing for years, after all prevention is better than cure right? I've raved about several anti-ageing skincare products here on JustJulie but I've never thought about trying products that actually work from the inside, until I was introduced to Seven Seas Perfect 7 Women. 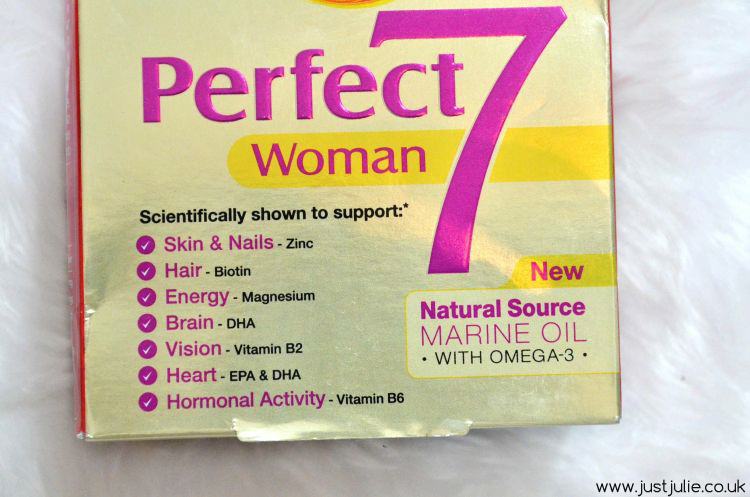 I'll be honest, I have never taken any form of vitamins in my life and I think it's now time that I actually do, especially as the Perfect 7 has seven key benefits that I as a women look to improve. Seven Seas have recognised that the external signs of a healthy body starts with healthy looking skin, which is why they have created the Perfect 7 Women, aimed at anyone who is starting to see the first signs of ageing, but also those who want to improve their body from with in. 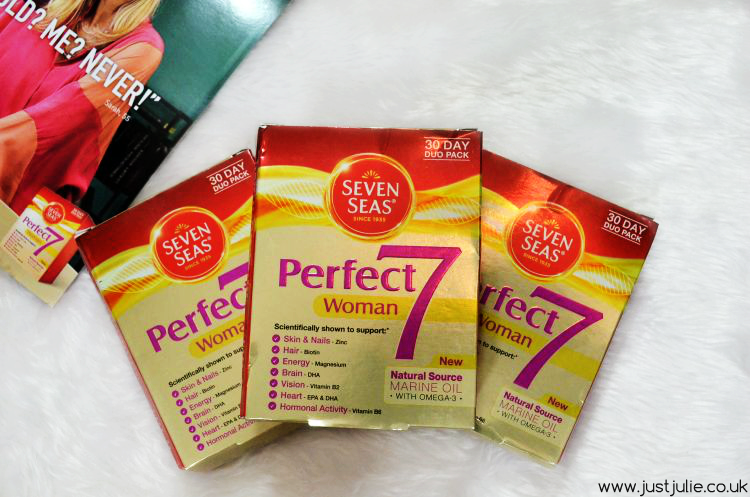 Seven Seas Perfect 7 Women provides you with all the key nutrients that your body needs to maintain healthy skin from the inside. They have been researching marine oils for over 70 years and have realised how important it is and as a result have formulated a unique blend of natural marine oils, which is rich in omega-3, essential in helping to maintain normal heart and brain function. It also includes a number of key minerals and vitamins which allows your body to effectively absorb all nutrients in the bodies cells, resulting in reducing tiredness and fatigue - which is something that I suffer with quite frequently. One of the reasons I was so keen to try the Perfect Seven Women is because it also helps to fight and support other concerns that I have, the first four listed below are my main concerns. Skin and Nails - Zinc maintains normal skin and nails. Hair - Biotin helps to strengthen and aid with the growth of hair. Energy - Magnesium helps metabolism. Hormonal Activity - Vitamin B6 regulates hormonal activity. Brain - DHA contributes to normal brain function. 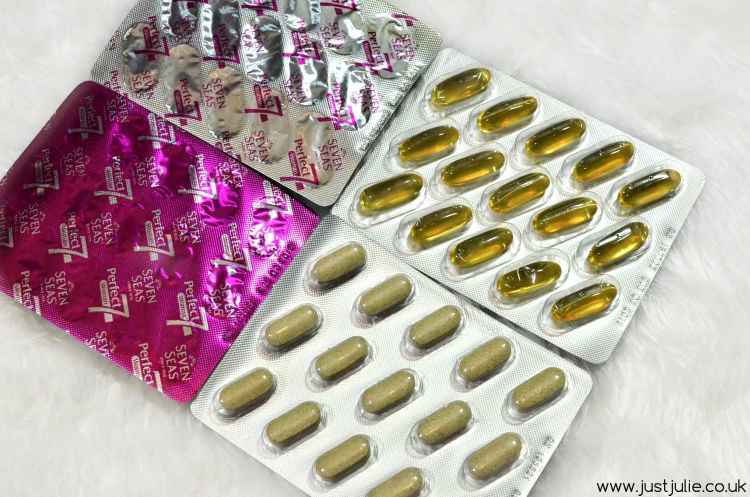 Heart - EPA and DHA maintains the function of a normal heart. Vision - Vitamin B2 maintains normal vision. I have a course of three months tablets, two to be taken each day (one silver tablet and one purple tablet) so this is more of an introductory post really. I'll be posting another post further into my course of tablets to let you know how they have worked for me. As this is my first time taking any form of vitamins I'm excited to see if I notice any difference, especially in regards to my four main concerns, skin, hair, fatigue and hormones, so keep your eyes peeled for my next post. Do you take any vitamins? Have you ever thought about taking vitamins that claim to help fight the ageing process?